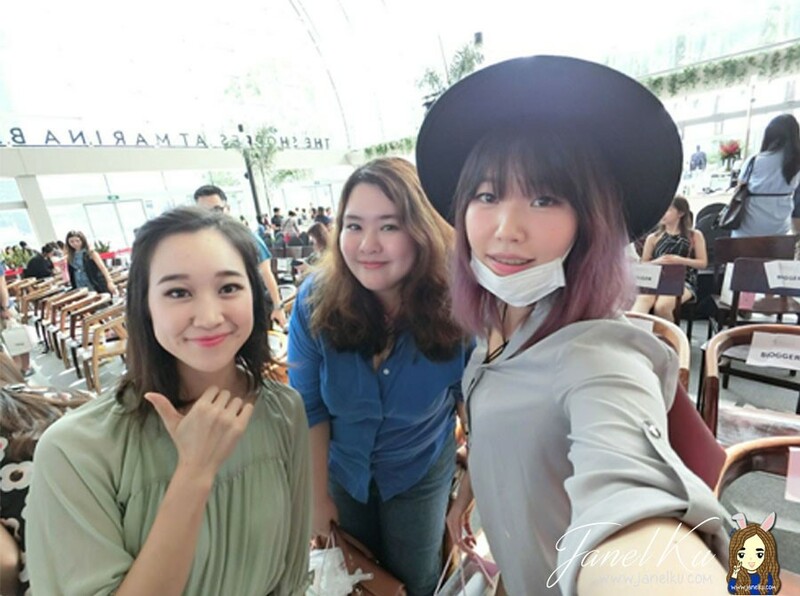 Over the weekend, we head to Marina Bay Sands to attend the Sample Store Beauty Show! 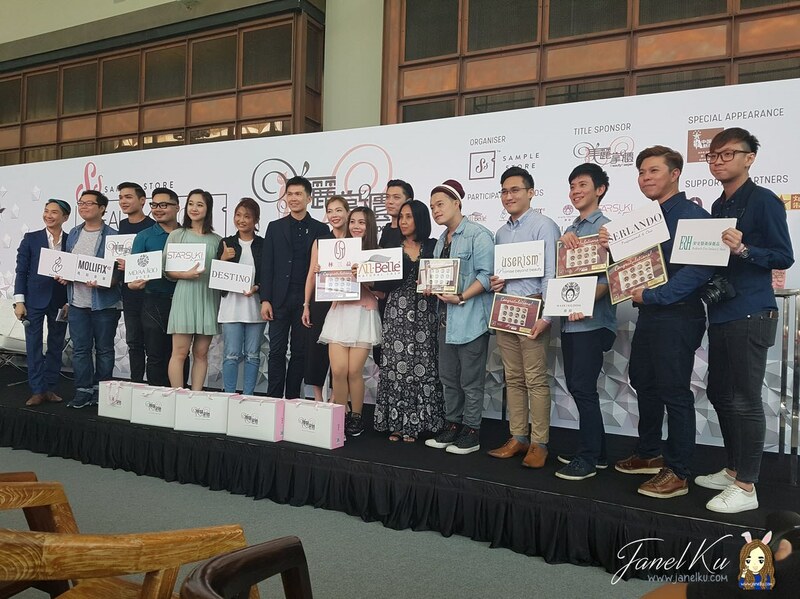 This was organised by Sample Store and sponsored by Taiwan beauty e-retailer, Beauty Keeper. We began the event with a lovely meal provided by Carnivore Brazilian Churrascaria at The Shoppes at Marina Bay Sands! While waiting for the show to start, it was time to selfie with my blogger bae. 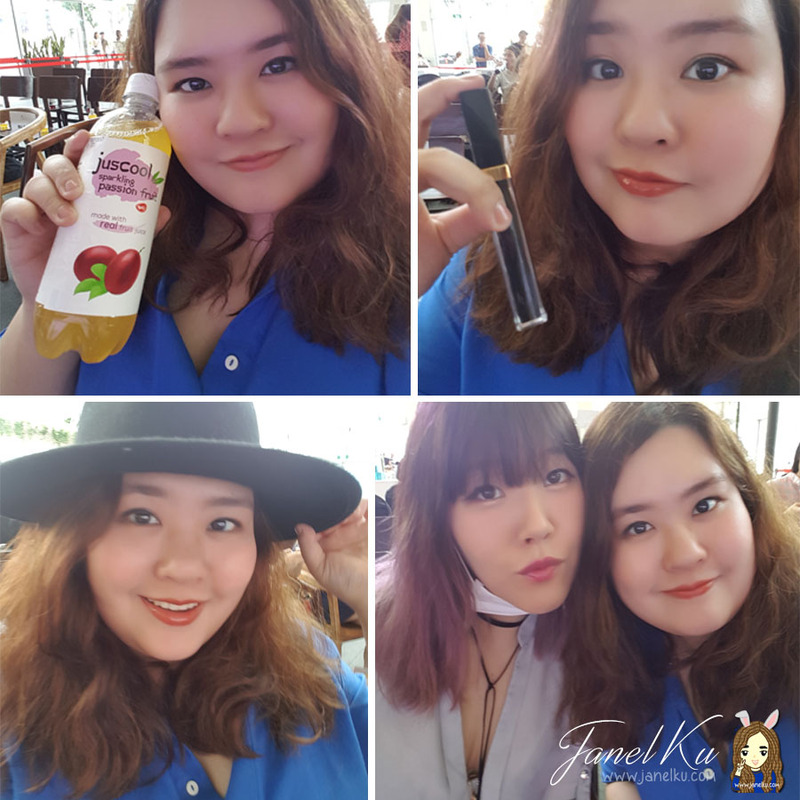 We chilled out drinking our Juscool drink from Yeo's and I also got to try out Kiyo's new Chanel Limited Edition 778 Caviar Rouge Coco Gloss! It was soooo pretty and I loved it. Hosted by hilarious host, Hossan Leong, he welcomed 张美香 EEva Chang, the founder of Eeva Productions, to the stage to signal the start of the event. D.D Cream SPF50 Dynamic All-Daily Defense, which helps to block dust from attacking skin and also to keep a lovely, light foundation on all-day. It works just like how you'd apply a BB or CC cream so that's pretty simple to use. Rosy Pink Moisture Dew, a unique product for the areola, private parts (for ladies' erm, lower lips) and their normal upper lips (where you'd apply your lipstick) as well. This product contains active ingredients such as Lumiskin that helps brighten dull area and reduce melanin, providing a natural rosy pink glow on the lips (wink). It is also rich in shea butter, hilurlip, ceramide and organic plant oil to moisturise dry areas and prevent chapped lips. Bright Whitening Ultra-Water Facial Masks, which comes in a nicely packed box with 3 tubes. All you have to do is to take a tube of the maske and add 5ml of efficiency essence (also provided within the box) on it. Apply on your face for 25 mins and continue using the remaining essence for the next 7-10 days. This is suitable for namely, all types of skin. Essentially this product brightens skin vitality and help your skin retain moisture for a long time, and also help to repair skin damage. Stretch Mark Remover Synergy, which helps to reduce stretch marks for up to 3 weeks! Taiwan Aboriginal Series-B Masks. These masks are soooo prettily designed and contains various vitamins, plants and herbal extracts, essential oils to aid skin to look its most radiant. Suitable for Normal, Dry or Sensitive skin types. Facial Mask Beauty Brush. Some friends have mentioned how this is sold out everywhere. I'm not sure but this is one product to look out for. This brush is made from a special type of rubber, that is soft to use and allows for a very even spread of facial mask products across the face, especially around hard-to-reach areas of your face. Using this brush is also said to have lifting properties. Also, it is easy to cleanse this brush with a quick rinse of water. Destino Advanced Repairing Face Soap - I heard this face soap is super sellable in Taiwan due to its gentle, yet powerful cleansing properties. It is suitable for almost all skin types. The classic ingredient Cistus, is rich in antioxidant molecules that fight free radical attacks and helps activate cells, repairs and restores any skin damages made by the environment. We also managed to see awesome makeup demos by makeup artiste, Candy Tiong on the Grand Finalists of SING!China Season 2 Singapore Selections. There was so much to learn from her and was glad to have her show us how to use the beauty keeper products! Congratulations to the Grand Finalists of SING!China Season 2 Singapore Selections! You people rock your vocal cords! And... where will we be without all those crazy photo snapping? Mio Sato, one of the Grand Finalists from SING!China Season 2 SG Selections, me and blogger bae Kiyo! 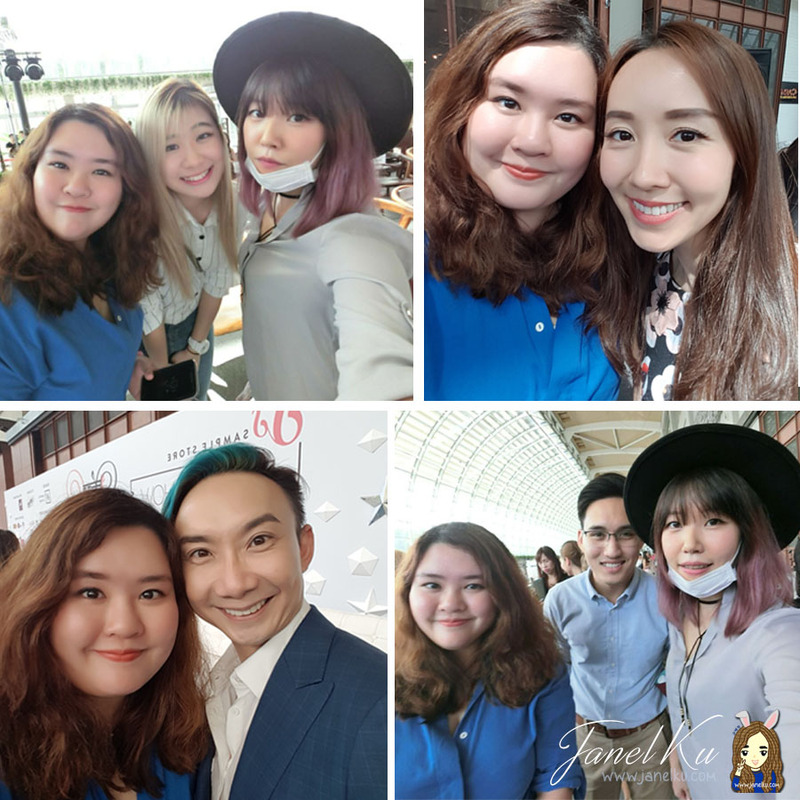 Managed to also snap a few selfies with other sweet blogger friends, Hossan Leong, as well as Marcus, who will be representing Singapore to take part in SING!China Season 2! Wishing Marcus all the best in his competition! All the products shown on this post can be purchased from Beauty Keeper website, visit them at http://beauty-keeper.com/. For more on Sample Store, visit their website at https://www.samplestore.com/.